Pendant Made with Lab Created Alexandrite Only $10.49! Down From $249.95! You are here: Home / Great Deals / Pendant Made with Lab Created Alexandrite Only $10.49! Down From $249.95! 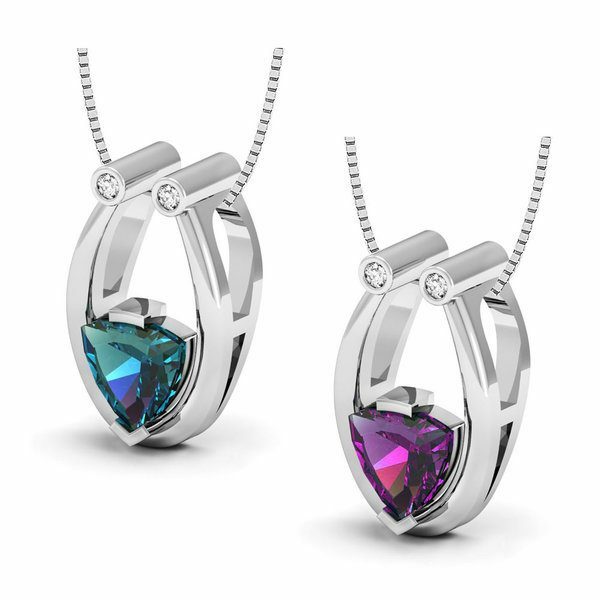 Tanga has this Pendant Made with Lab Created Alexandrite on sale for $10.49 (Reg. $249.95)! We are proud to present our Exclusive Jewelry Collection. Gemstone size used in this jewelry piece is Created Alexandrite & Size is 7mm Trillion & total dimension of the Pendant is 10mm x 17mm. 18 Inches chain is also included. The color changing effect of this stone & superb metal craftsmenship as per Goldsmiths’s standards has made our jewelry pieces a Best Gift for every occassion.